27 luxurious apartment residences including 2, 3 and 4-bedrooms located in the heart of Downtown Crossing. 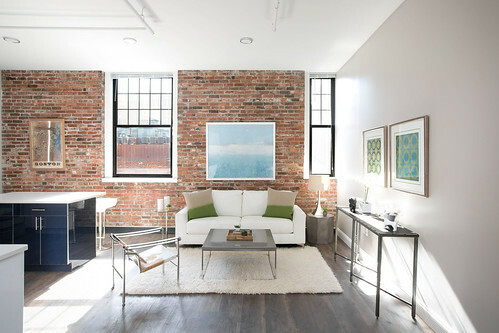 Set in a restored historic department store, apartments at The Conrad feature exposed brick walls, large windows, abundant natural lighting and 11-foot loft-style ceilings. Three light wells extending from The Conrad’s third floor to the roof bring additional natural light to apartments. Apartment finishes at The Conrad include white quartz countertops, resilient wide-plank and ceramic tile flooring, high-gloss thermal foil kitchen cabinets and state-of-the-art appliances. Rents at The Conrad range from $3,500/month for a 730-square-foot two-bedroom to $7,200/month for a 1,325-square-foot four-bedroom. The Conrad is located steps from Boston Common, the Financial District, multiple shops and restaurants and all rapid transit lines.